PGF is a listed investment company that will invest predominately in listed global securities diversified across global equity markets (including Australia) to provide long-term capital growth over a seven-year plus investment period. 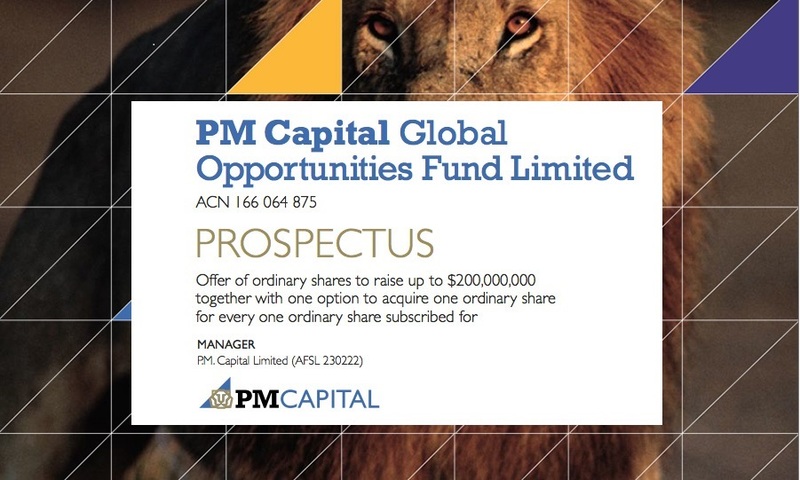 PM Capital Global Opportunities Fund Limited (Company) is offering Shares for subscription at an Application Amount of $1.00 per Share to raise up to $200,000,000, together with an entitlement to one free attaching Option for every one Share subscribed for, exercisable at $1.00 per Option on or before 30 June 2015. The rights attaching to the Shares are set out in Section 10.5 and the terms of the Options are set out in Section 10.6 of the Prospectus.